Longspan shelving systems made from high-quality steel construction for a high load capacity per shelf to cater for your heavy and bulk storage needs. The units can be extended and reconfigured to accommodate for changes, such as relocation or stock increases. The upright frames are usually pre-assembled for fast, simple, boltless installation. The longspan shelves can be assembled as stand-alone units or attached to lower levels of a pallet racking system for optimal use of available floor space. 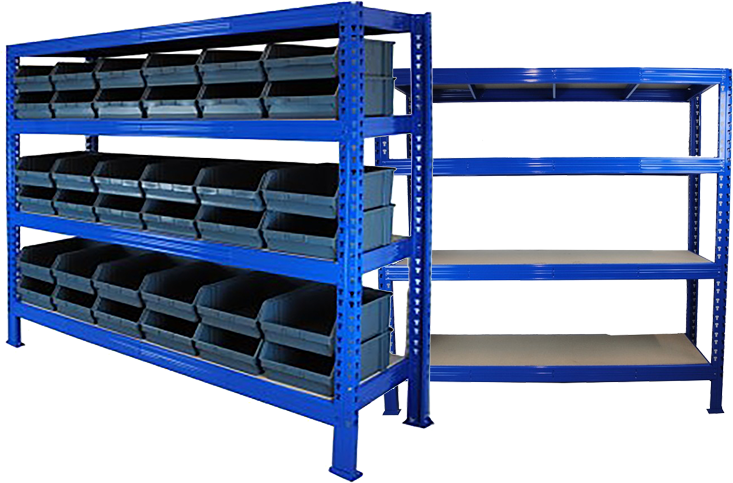 With a variety of sizes available, long span shelving units are designed to accommodate medium to heavy loads depending on the chosen type. Longspan racking units are a reliable, flexible and cost-effective option not only for industrial use but also for office storage, archive storage, warehouse, industrial and home garages.